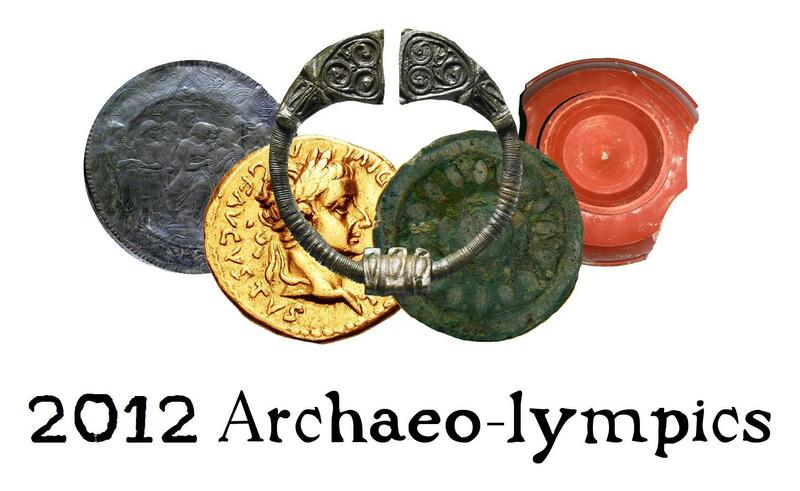 With London 2012 in full swing, we asked you to come up with some events for the ArchaeOlympic Games – and you didn’t let us down! We received a veritable spoilheap of suggestions via our Twitter and Facebook accounts , so many that we couldn’t cram all of them into our usual column in the magazine. Rather than leave out any of your fabulous ideas, we decided to put them all online. Enjoy – though you probably shouldn’t try these at home (or on site)! Beer-making. It would be at least a 4-day event. 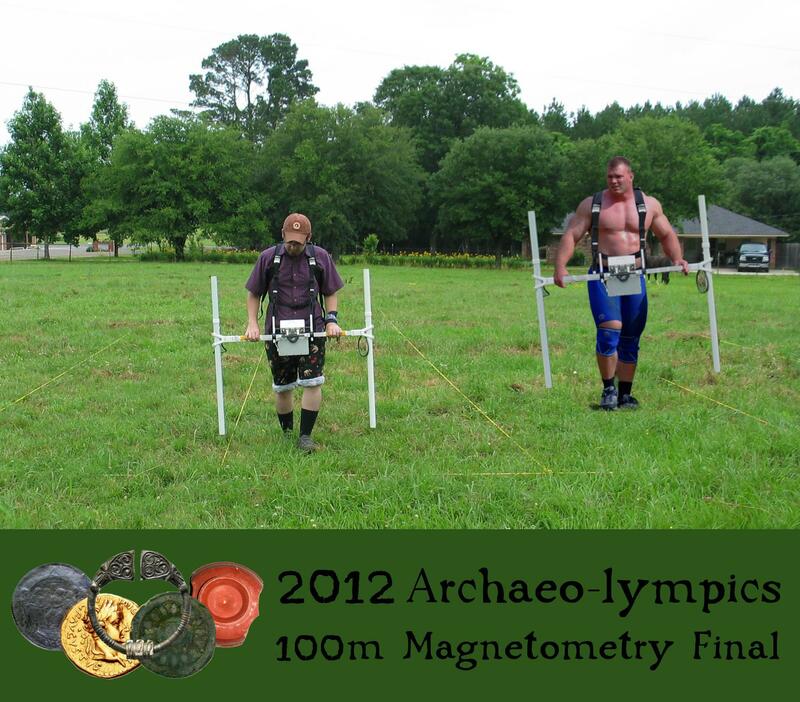 Hole-watching, head-scratching, 110m wheelbarrow race, plank gymnastics, magnetometer lifting. 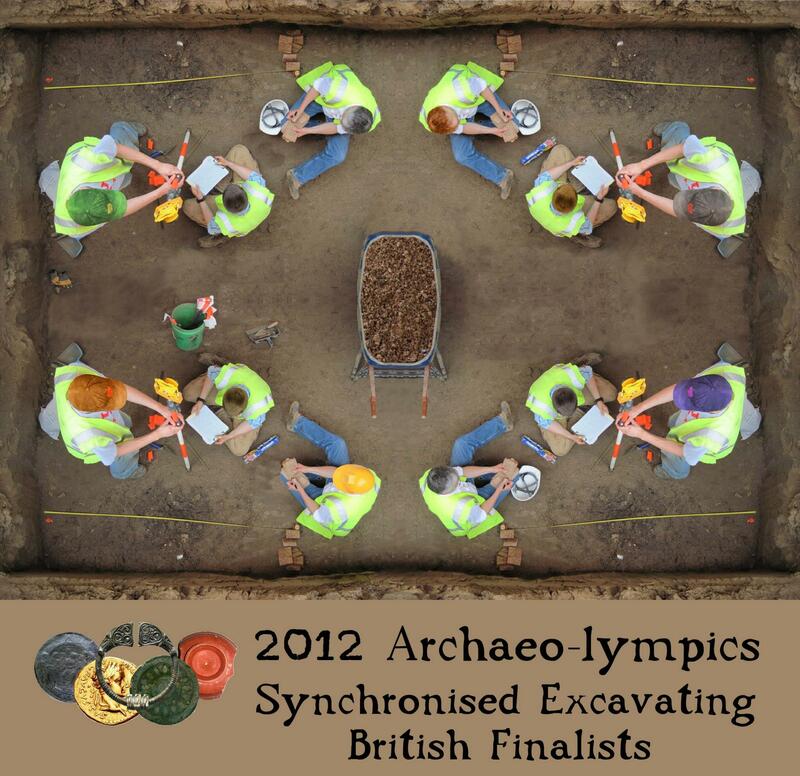 Sifting singles and doubles, synchronised trowelling, or trench jump. My partner asked me if I minded him watching two weeks of Olympics. I asked him if he would mind if there was a two-week dig live on TV. He didn’t reply! Digging for old site reports from under archaeologists’ beds and drawers. 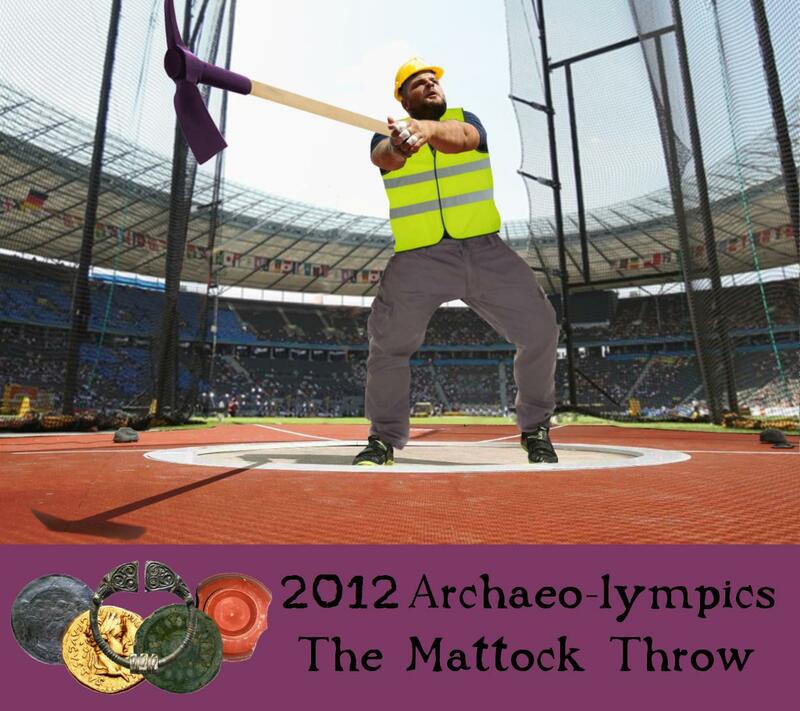 Range-rod javelin, mattock toss, ditch-jumping… all the classics. Timed pot reconstruction? 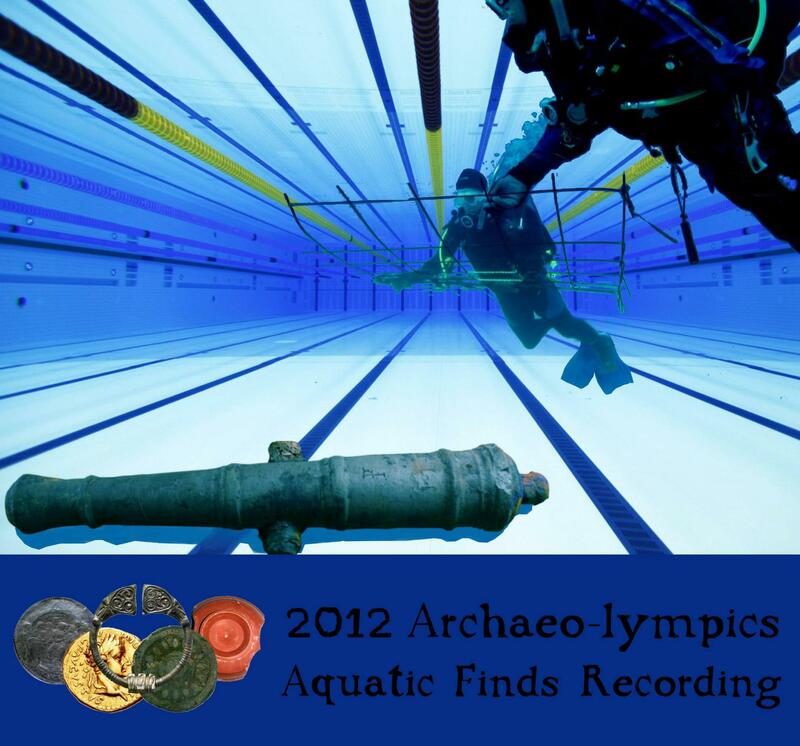 Or some kind of recording triathlon: full completion of context card, levels, photograph? 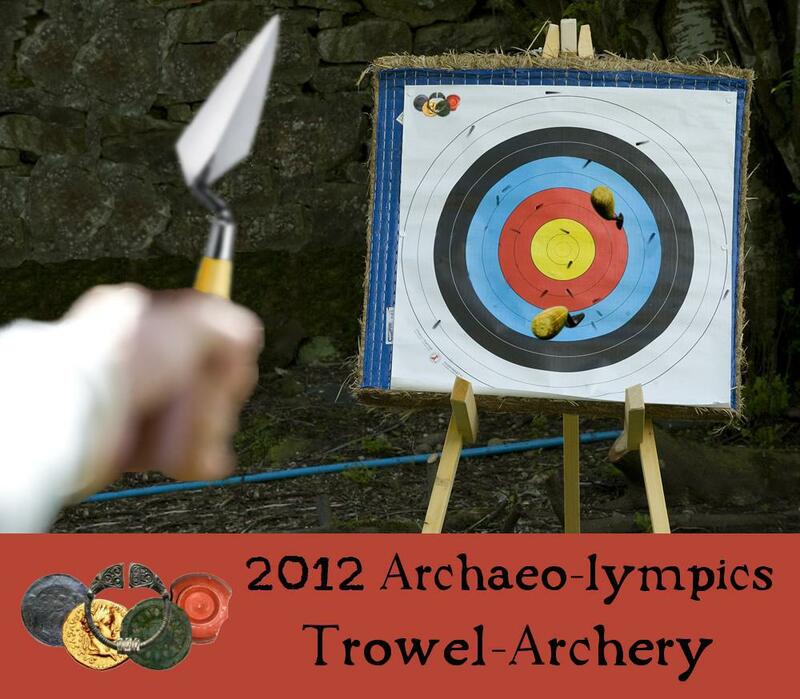 We had some great games on site a few years ago, including ranging-rod javelin and trowel target-throwing. At Silchester we play amphitheatre ultimate frisbee. Another idea could be a well or pit shoring race. Some form of competitive hanging on to employment? Most elegant but also accurate surveying — eg. holding staff with one leg outstretched, then pirouetting off to the next point. 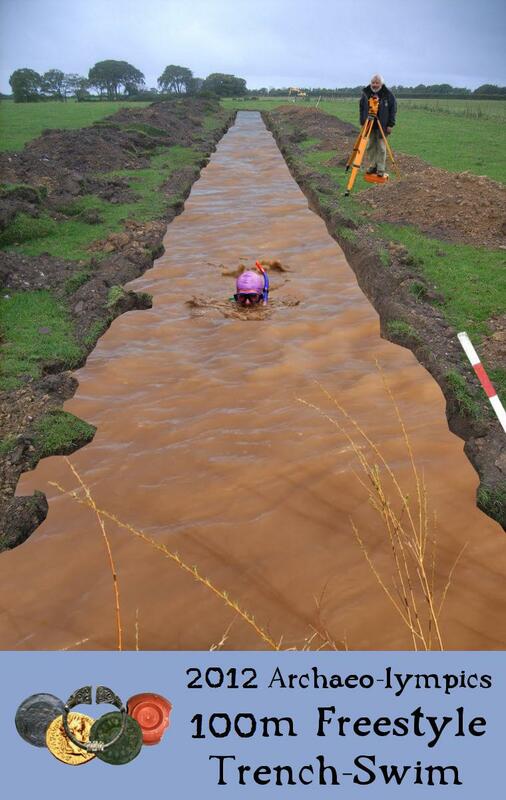 3m trench digging or cubic metre earth sifting? Getting your finds tray to the finds supervisor complete with the correct context ticket and without dropping anything out of it before she shuts the finds shed and goes down the pub? The 100m evaluation trench shovel scrape sprint? Or even long-distance versions? How about a 100m geophysics amble? 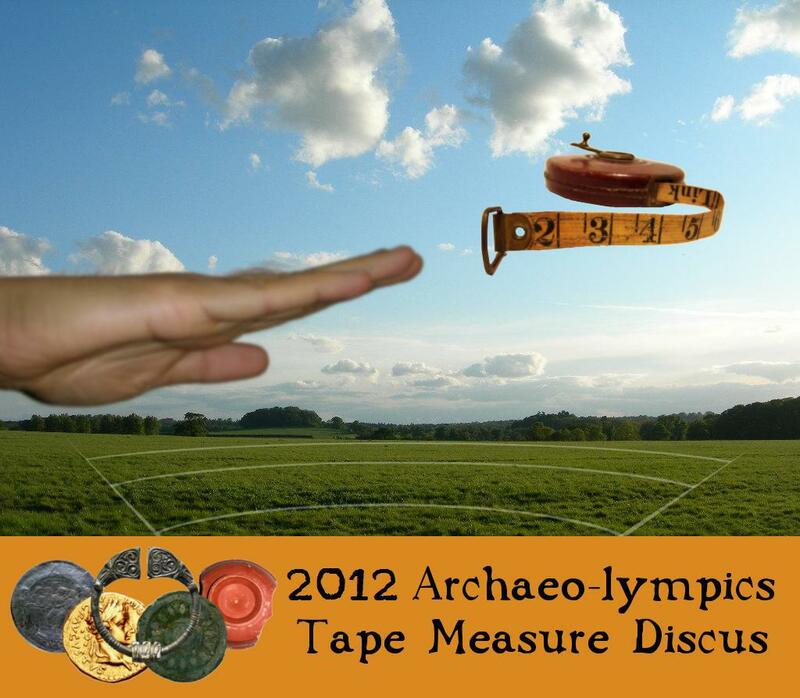 Hot air balloon races for the biggest archaeological egos. 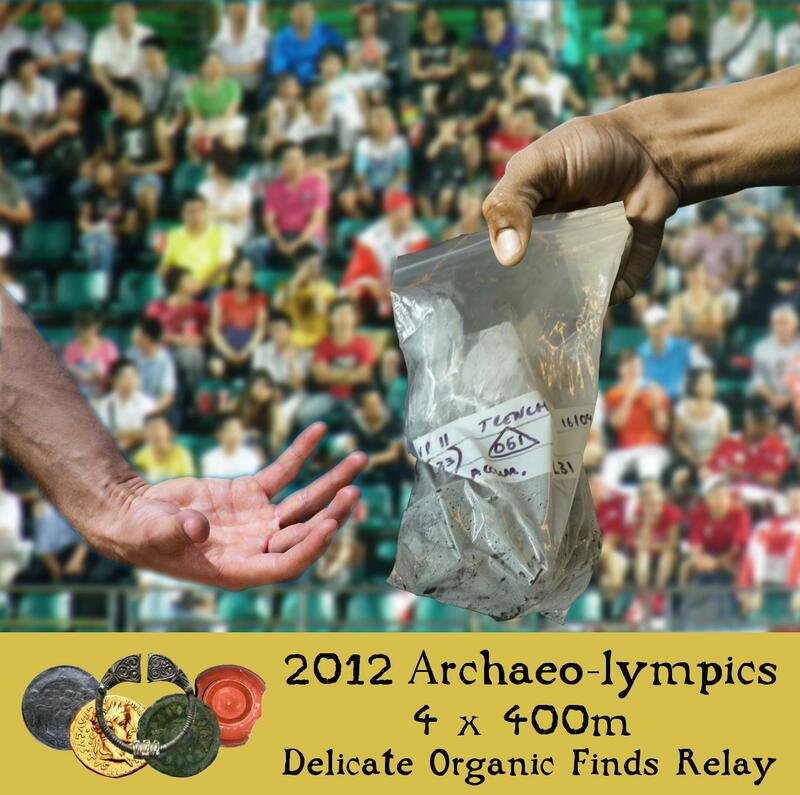 In the archaeolympics, would they be digging for Gold, Silver and Bronze? Surely the medals would be axe-shaped Stone, Bronze, and the ultimate prize: Iron. Unfeasibly large trowel throw? Or speed field-walking. Surveillance of colleagues and gossip. Trowel sharpening, timed unit digging trials, orienteering, pedestrian survey, breaker bar lifting. 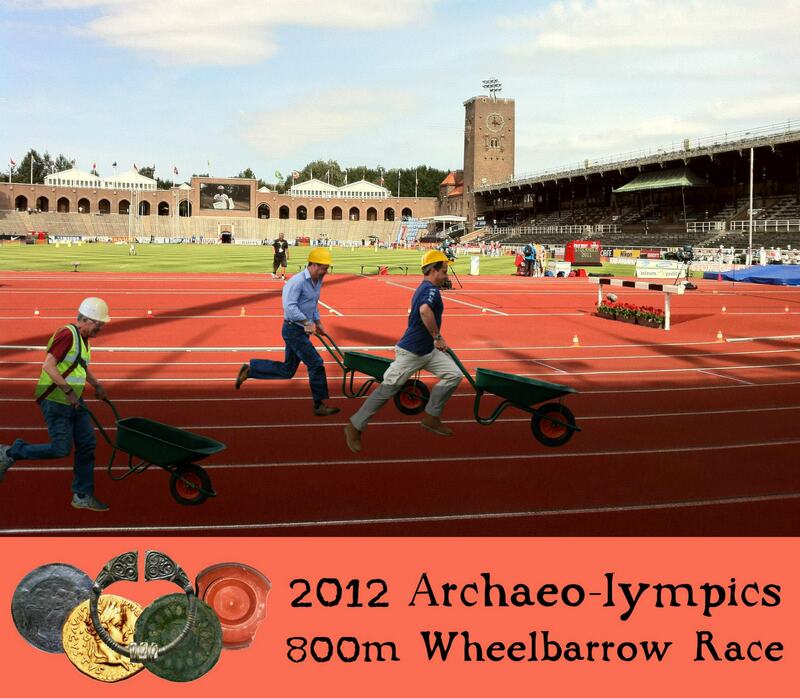 Wheelbarrow race including a 20ft spoil heap climb and bucket chicanes. How about ‘Back filling’, the post event challenge? It would have to include a 100m sprint off site for the tea bell. Precision javelin — using a ranging pole with a view of hitting a precise point on the site grid. Sondage, not dressage, and ‘synchronised strimming’. Thoughtful stroking of beards, artistic mattocking — and of course three-day eventing, AKA Time Team! Pick up a copy of CA 271 to see if your event was printed – on sale now! With grateful thanks to Marc Barkman-Astles and the wonderful people at ArchaeoSoup Productions for their fantastic illustrations. Previous CA 271 Next Richard III: found?